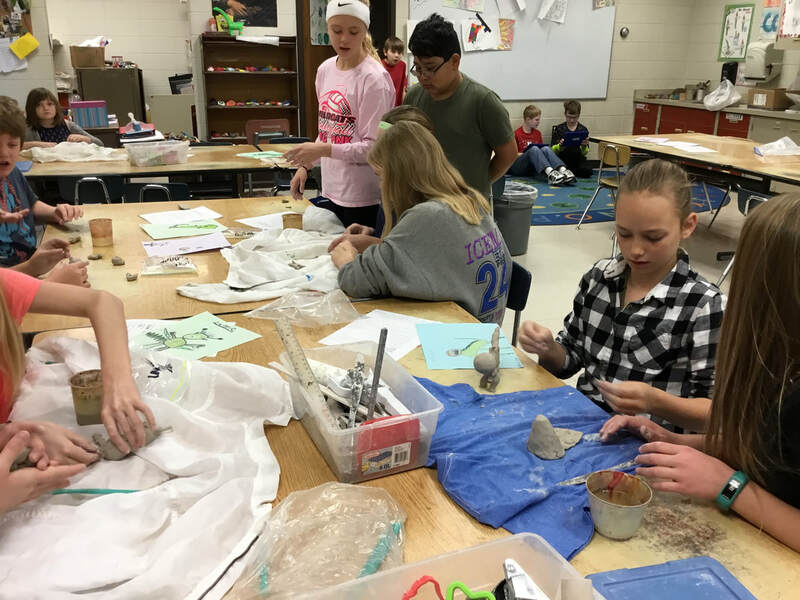 After attending the AEI Conference in Des Moines this fall, I came back with this lesson idea from one of the sessions I attended. 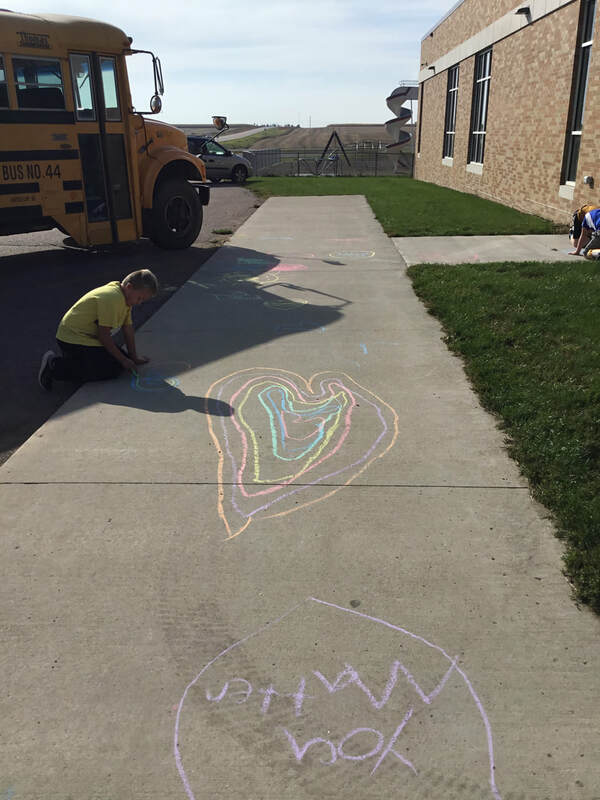 I was SO excited to try this out, and so were the students. 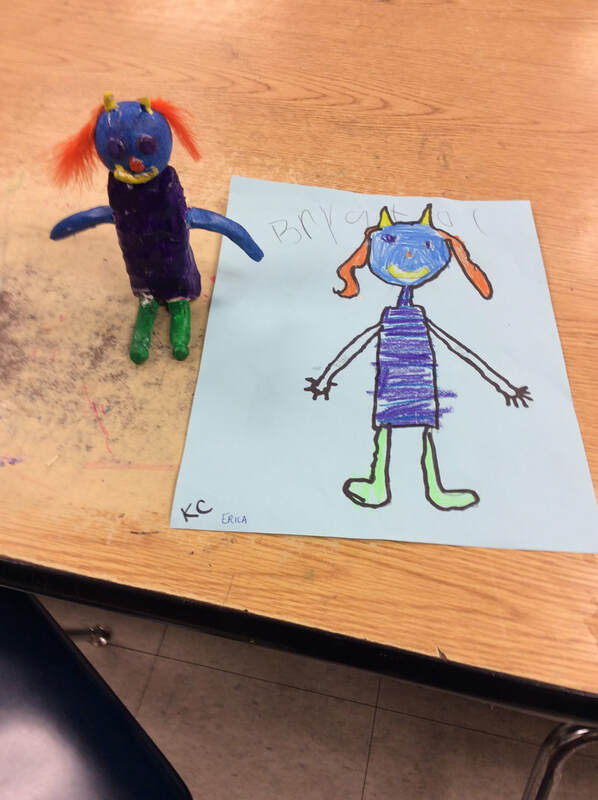 Kindergarten students brainstormed and drew a monster during art class. 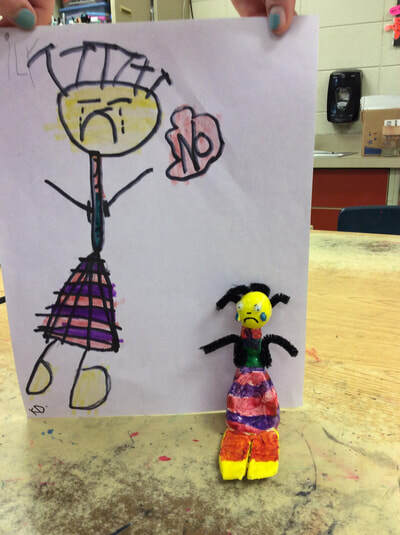 Kindergarten students got matched up with a 6th grader who would take their idea and make it into a clay sculpture for them. 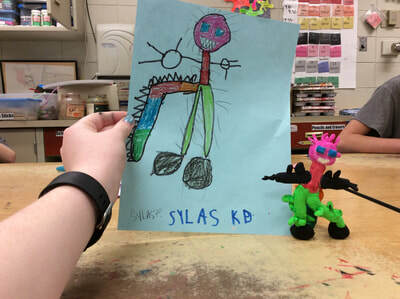 The end result of this collaboration was AWESOME! For kindness week 2017 I chose a couple random classes to help spread some kindness around West Lyon. 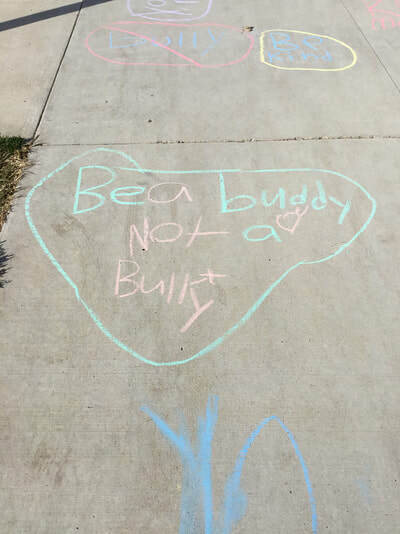 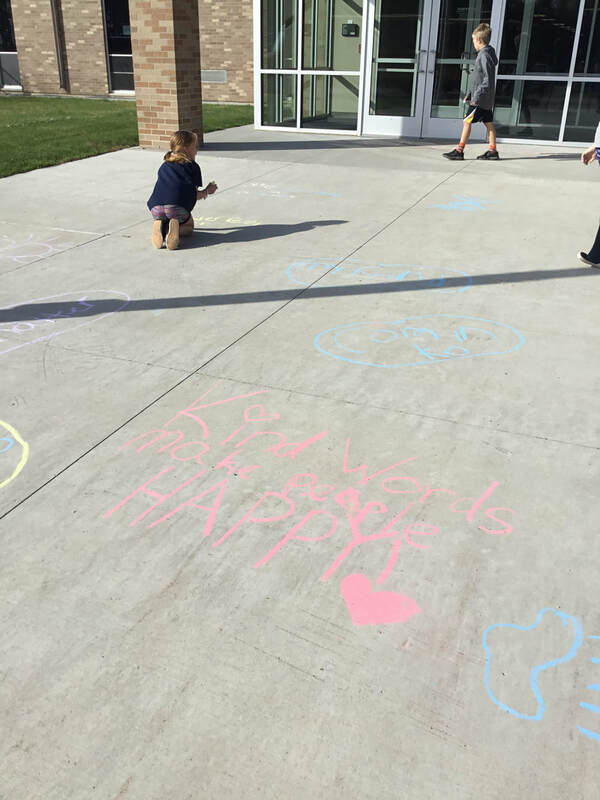 We brainstormed ideas of what we could write or draw in chalk to help spread kindness. 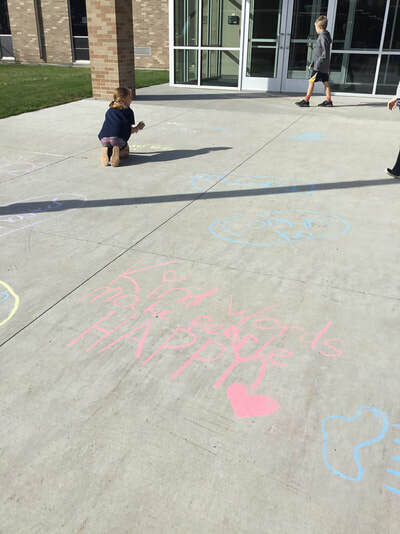 With administration's approval, we wrote our messages all over the playground and at the entrance of the school. I loved seeing these messages and hearing what kids came up with for their kind words! This project was done with the help of Mrs. Twedt, our guidance counselor. 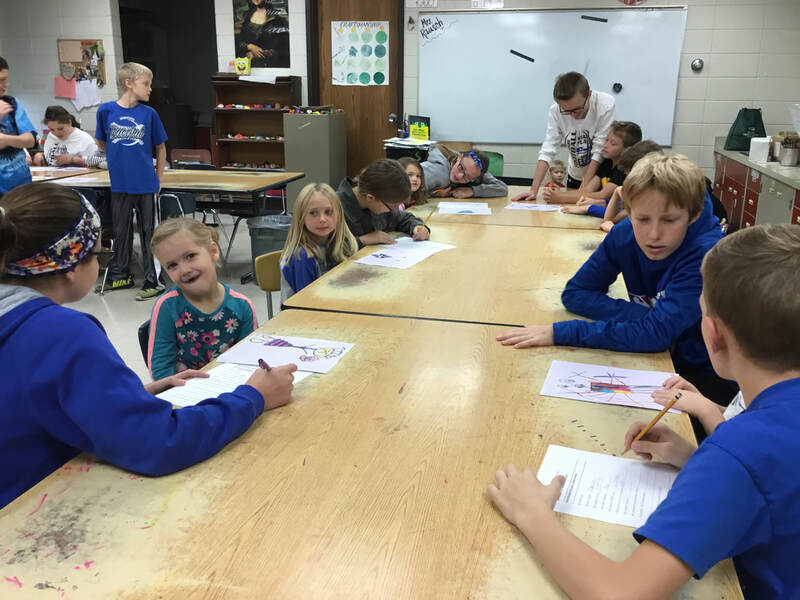 Mrs. Twedt read the book "Only One You" to all classes K-6th. 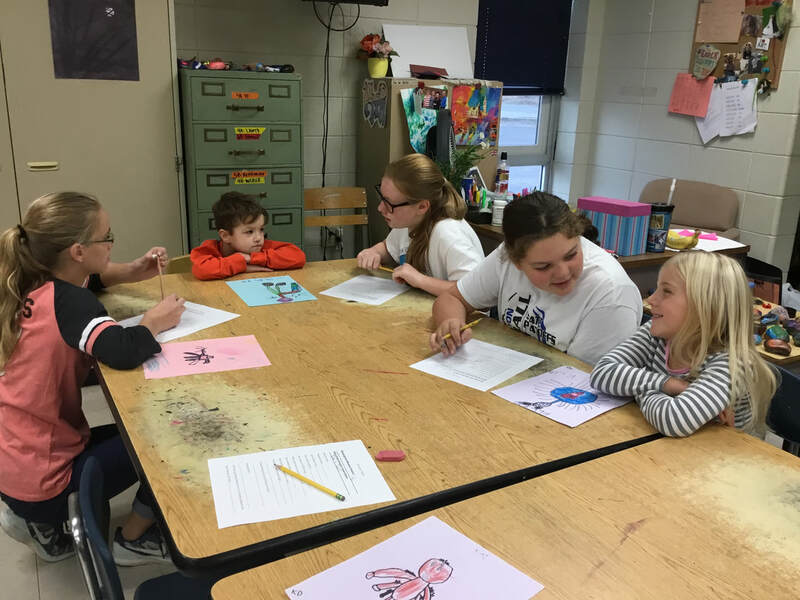 She had a long discussion with them about making good choices and staying true to yourself. In art, we planned and painted a kindness rock. 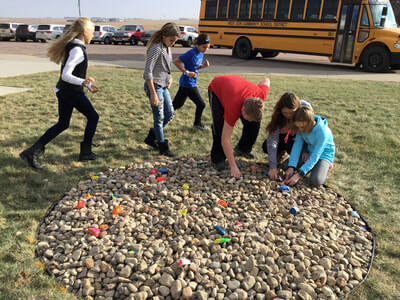 After our rocks were painted, we put them around some landscaping at school where a tree in honor of Brad Schneidermann will be planted. 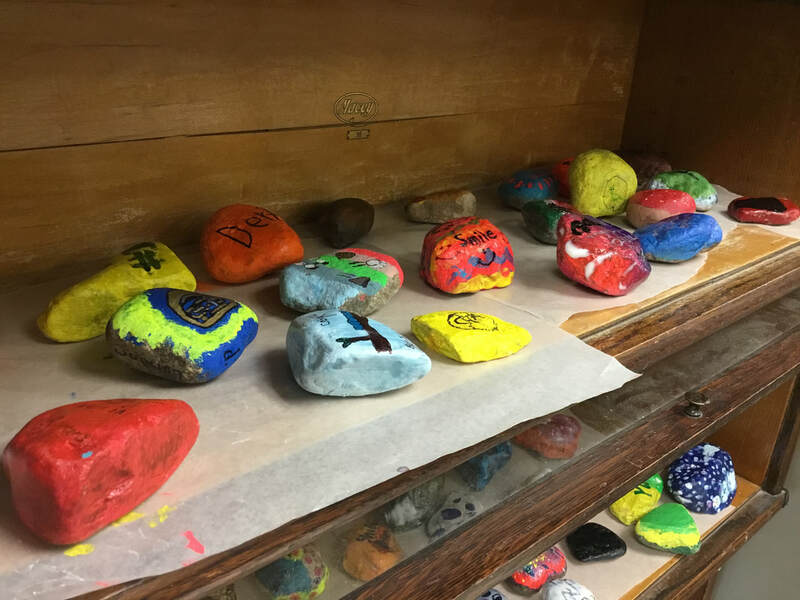 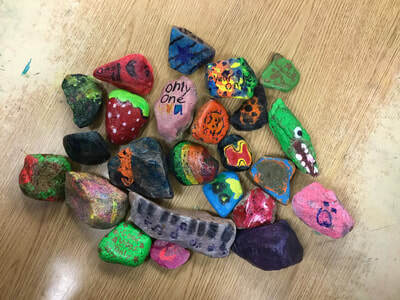 There were so many creative and unique rocks painted by all K-6! 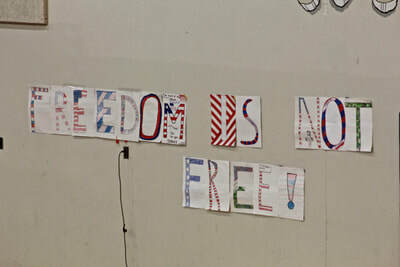 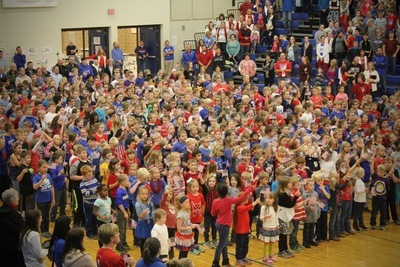 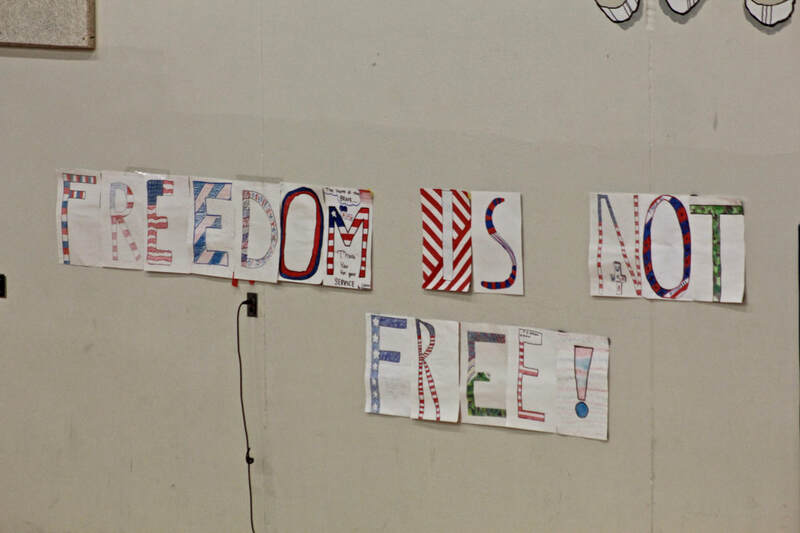 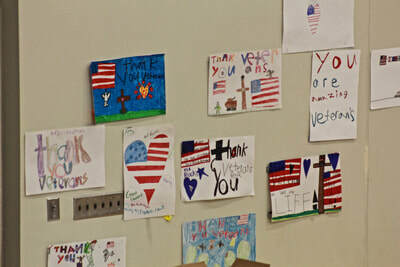 Every November West Lyon hosts a Veteran's Day Program. In the art room, we do our best to show our appreciation at this event by creating and displaying artwork having to do with our veterans. 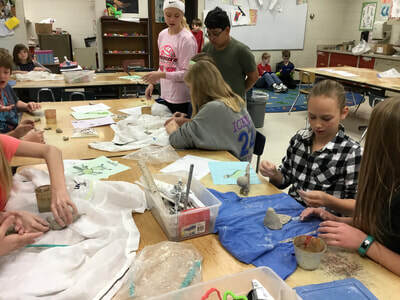 TAB (Teaching for Artistic Behavior) is becoming very popular in many art classrooms across the country. 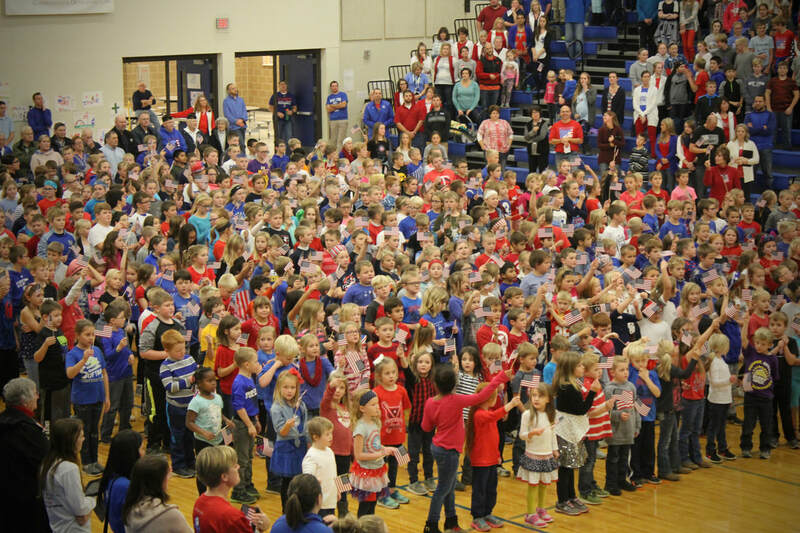 Right now, TK classes are primarily TAB based. You could say they are my guinea pigs! So far it has been extremely beneficial in allowing the TK kids to make artistic decisions and experiment with as many art materials as they can in their first year visiting the art room.